Despite the holiday music, beautiful decorations and delicious food, not everyone is looking forward to the holidays. For many, Christmas is a difficult time of year. Some will wake up on Christmas morning with no presents under the tree because they can’t afford them. For others, this is the first Christmas that the family won’t be all together. That could be because the kids are grown and married, and plan to spend Christmas with the in-laws. Or it might be because of family tension, marital separation, divorce or even loss. Whatever the reason, for many, “Merry and bright” are the last words they would use to describe this season. 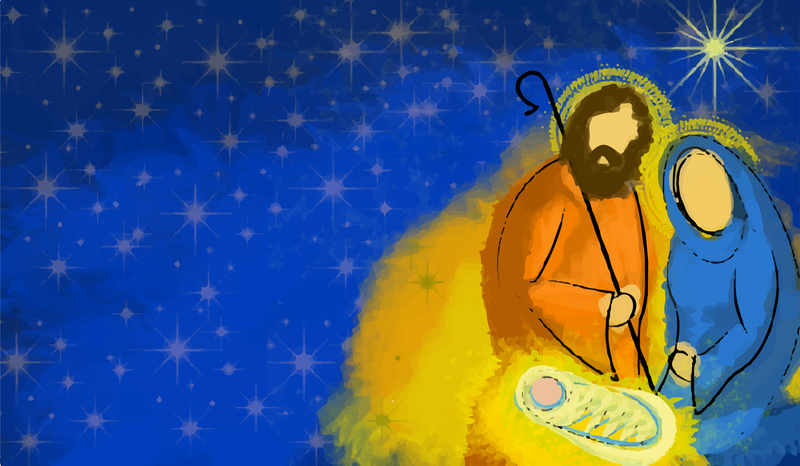 RELATED CONTENT: Baby Jesus or Risen King—Do You Keep Jesus in This ‘Christmas Only’ Box? But there is hope for those who are heavy-hearted this holiday season because Jesus sees your circumstances and knows what you are going through. The very first Christmas was anything but festive. In many ways, it was wrought with heartbreak and difficulty. Most of us have heard the Biblical Christmas story dozens of times. And yet, maybe it’s been a while since you’ve looked at the story for what it really is. If you think about the things that happened to Jesus and his family in this story, the First Noel was anything but a silent night. So here is the Christmas story like you’ve probably never heard it. The first Christmas begins with a near divorce. When Mary tells her fiancé Joseph that she’s pregnant, he’s skeptical, to say the least, about the idea that the father is, well, God. So assuming that Mary has been unfaithful, Joseph decides to end their marriage before it even begins. So if you’ve ever experienced the sadness, anger or frustration of spending Christmas with a broken family, the Christmas story is for you. As if that’s not bad enough, when Mary and Joseph finally do get back together, they are sent on a journey to Joseph’s hometown for a government census when Mary is nine months pregnant. I don’t know if you’ve ever traveled at nine months pregnant, but it’s not something I recommend. It was a long and difficult journey. And the worst part is, Mary didn’t have anyone there but Joseph to help deliver and take care of the baby. RELATED CONTENT: A Case for Santa Claus—Can We Learn More About Jesus from Him? So if you’ve ever felt stress and anxiety during the holiday season, the Christmas story is for you. And when they finally arrived at Bethlehem, there was no room for them anywhere. So they literally had to stay the night in a barn. So if you’ve ever woken up on Christmas morning with no presents under the tree or food on the table, the Christmas story is for you. Finally, at the end of the story, some wise men came looking for Jesus, whom they called, “The King of the Jews.” When Herod, the jealous tyrant king, found out about this newborn King, he sent soldiers to kill every male baby in Bethlehem under two-years-old, just to make sure he got the right one. Jesus and his family barely managed to escape. So if you’ve ever felt the pain of loss during the holiday, the Christmas story is for you. If you think about the things that happened to Jesus and his family in this story, the First Noel was anything but a silent night. No matter what you’re facing, you can have a Christmas full of joy this year. Because the Savior who was born into difficult circumstances understands what you’re going through. That doesn’t mean this Christmas will be holly and jolly, but it does mean that you have something to celebrate. You can celebrate with joy because you have a Savior who loved you so much that he came to earth to save you. You can celebrate with peace because no matter what, God is in control and he has you in his hands. And you can celebrate in hope, because he has promised you an eternity with him.